The 24-Hour Nurburgring-proven i30 N is coming to SEMA. 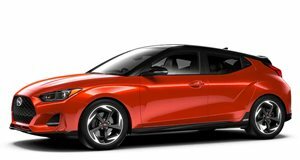 Earlier this year, Hyundai unveiled the hot hatch we really want but, so far, won’t be able to get. The i30 N is the automaker’s answer to the likes of the Ford Focus ST and Volkswagen Golf GTI, and already it’s proven to be popular in Europe; all of the 100 limited First Editions sold out in just two days. Sadly, the i30 N isn’t due stateside, but one exception is being made. Hyundai has just announced that it’s bringing its i30 N racecar to this year’s SEMA Show in Las Vegas. This isn’t just some show model, but rather the actual car that successfully took part and completed the grueling 24 Hours of Nurburgring endurance race last May. In fact, there were two i30 N teams that competed, and both cars finished the race without any technical problems, according to Albert Biermann, Hyundai’s high performance and development guru. The two cars competed in the SP3T class, meaning 1.6- to 2.0-liter engines. The i30 N is powered by a 2.0-liter turbocharged with up to 275 hp. Power is delivered to the front wheels via a six-speed manual transmission. All told, the two i30 Ns completed together more than 3,600 miles in a single day at the Green Hell. So why won’t this race worthy hot hatch make it to the US? Because the regular i30 was never intended for the US market. Instead, Hyundai is supposedly cooking something else us up for America, so also consider this i30 N SEMA event as an early preview. By the way, in case anyone doesn't already know, 'N,' in this case, stands for two places: 'Namyang,' which is Hyundai's global R&D center in Korea. The second place is the Nurburgring.